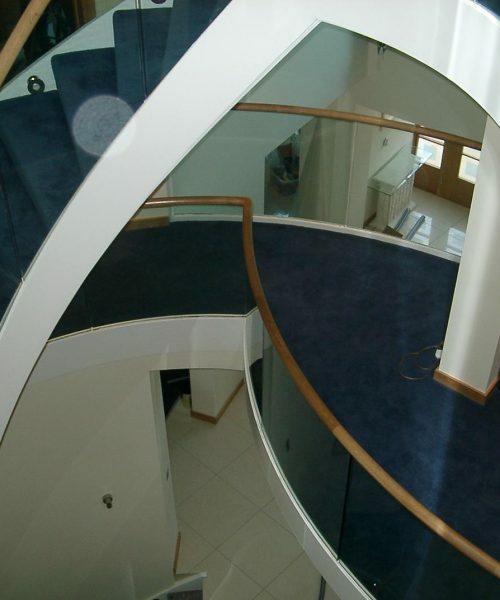 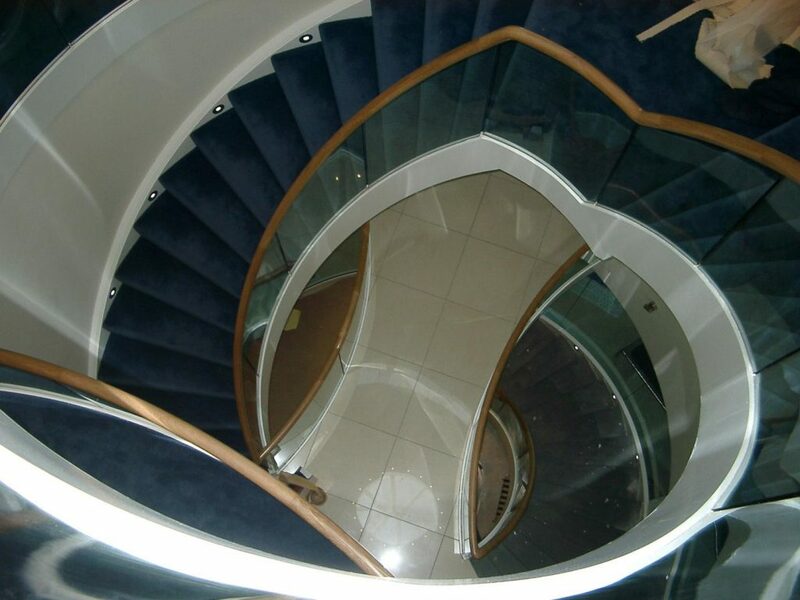 We have been fabricating steel staircases for many years, their applications are often used for office blocks access stairs, shops and domestic interior feature stairs to exterior fire escapes. 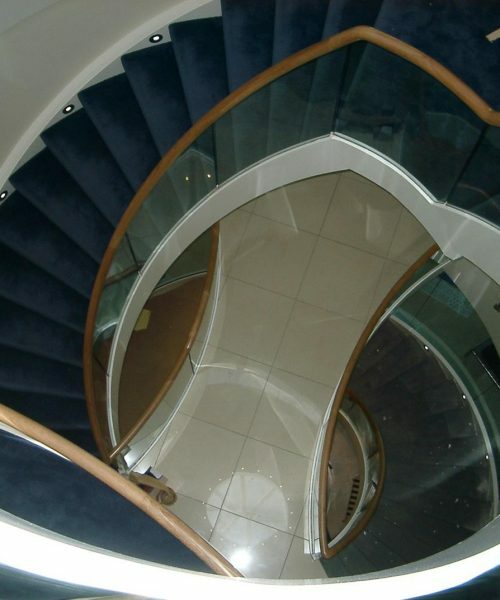 This feature staircase was for a new build house on the water edge in Poole. 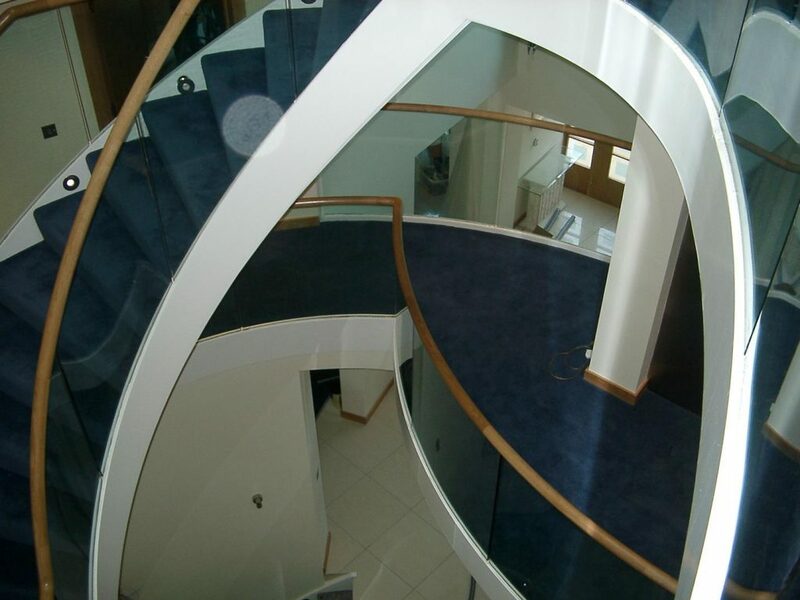 It was constructed with double steel side stringers, steel treads, toughened glass panels and a hardwood handrail.